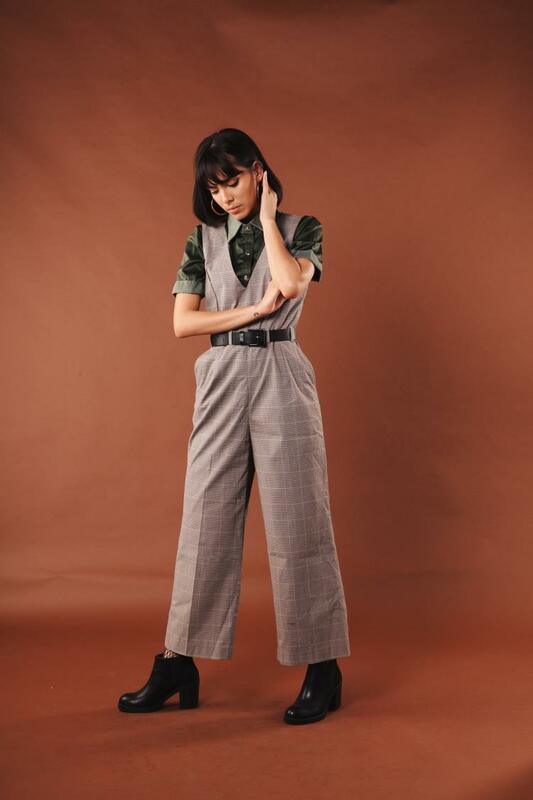 A checkered jumpsuit with a combined green suede shirt. 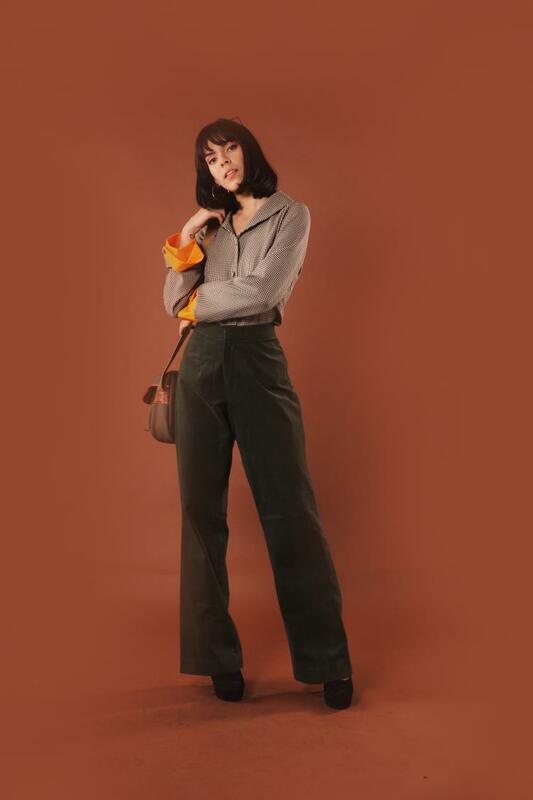 A checkered shirt with mustard leather cuff and a long bell bottom green corduroy pants. 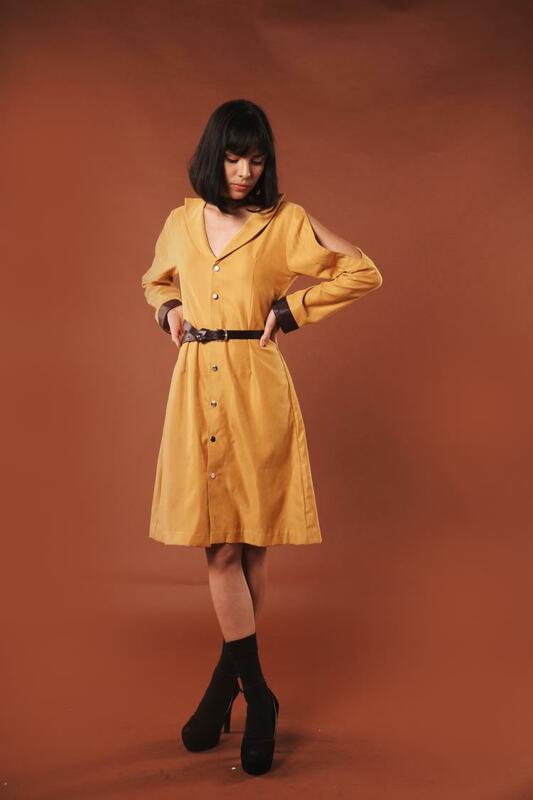 A shoulder cut out mustard dress with faux leather cuffs.